Just the way you would be using the flash boosters for enhancing the flash range of your built-in camera flash, you would also need to soften the light and make it look natural. If you are a professional photographer, one of the most important aspects you need to check out would be a DSLR Pop-Up Flash Diffuser. 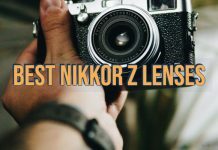 Let us check out the best flash diffusers you can go in today’s post. 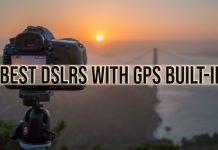 What is DSLR Flash Diffuser? 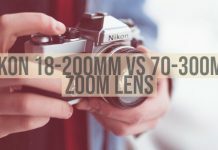 You want the natural look in your photos. Given the fact that photography is all about using the light in a useful and practical manner, the natural look of your photos will only be evident if you can make the light look real. Flash Diffusers are what would be helpful in this context. They tend to provide you with a natural lighting performance. The flash diffusers, not only, bring the natural look – but also ensures that the harsh tone from the light is removed. They diffuse the light that falls directly on the objects and spreads it from to form a softer light. Well, the pop-up flash diffusers are an excellent option, but how to choose the best among them? There are hundreds of models available and to find the one that exactly meets your requirements may not be that easy. We thought about helping you out and reviewed a few of them. The result? 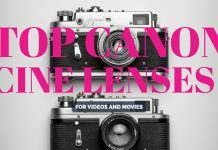 Here are our top picks for the best in terms of the best pop Up Flash Diffusers you can check out in 2019. The Sto-Fen Omni-Bounce OM-ET Flash Diffuser should be your prime choice for a flash diffuser if you are a professional photographer. It fits most of the flash units easily and naturally. It can deflect the light in all possible directions and even use walls and ceilings for bouncing the light. 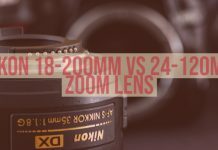 It can be your best bet for macro and full, wide-angle photography. Custom fit for most of the camera flash guns and offers you a high degree of portability. 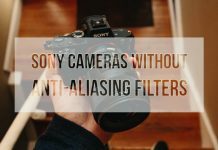 It can work correctly to reduce red-eye, reflections, and shadows. The diffuser offers you a high degree of image quality. Quite light and easy to handle. Maybe a little difficult to take off once fitted. If those features impress you, it may be a good idea to check it out on Amazon. Completely lightweight, portable and compatible with most of the cameras, the Meyin MB-20 DSLR Flash Diffuser is one of the excellent options to diffuse the light effectively. 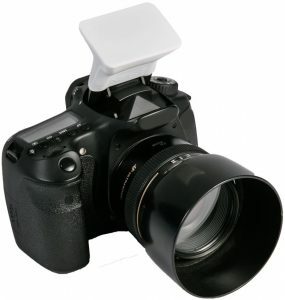 The diffuser is designed for Canon, Nikon, Pentax, and Kodak DSLR SLR Camera. However, we expect it to suit a few other options as well. You have the options of white, blue and orange diffusers to choose from. The white diffuser will help you get the warm and cooler soft light, while the orange and blue diffusers will aid in getting specific light conditions. The open type design provides you a faster and smoother performance in terms of installing it. The diffuser should be an excellent option for an enhanced portability thanks to the fact that it can be collapsed. The only complaint we have come across is it pushes the flash a little down. 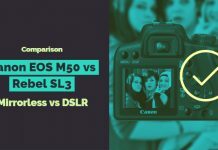 If you are looking for an affordable option for the flash diffuser requirements you may have, the Movo Photo SB3 Universal On-Camera Pop-Up Flash Diffuser should be a formidable choice for most of your needs. The flash diffuser is compatible with most of the DSLR and mirrorless cameras. The flash diffuser comes with complete compatibility with almost all popular cameras and DSLRs. It should be your best bet against the issues like red-eye reduction. 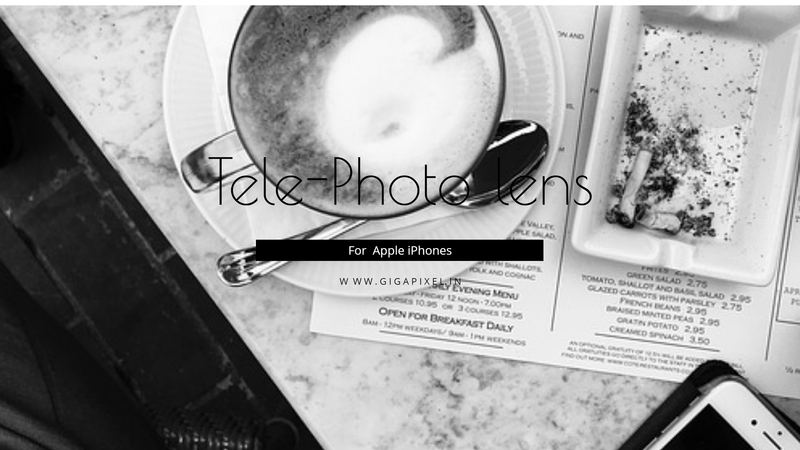 Does everything that it promises to and removes the harsh bright light from your shots. 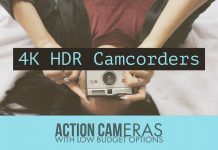 Quite easy to install on your DSLR camera. You can even customize it by adding more layers. It takes a little time to adjust the exposure right. Want to give it a try? Why not try it out here on Amazon? The NEST MiNi Pop-up Flash Diffuser is meant to be used with your pop up flash and provide you an efficient performance in terms of softening harsh light. It can also help you reduce the red-eye effects and unnecessary shadows. The flexible TPU material should make it one of the best options for a perfect diffusion of light. 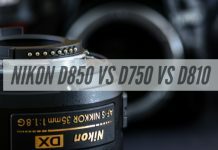 Universal compatibility with most of the DSLR cameras makes it a great choice to go with. The easy to install option makes it an excellent choice for easy implementation. A few users consider that the material is a little thicker. If those features impress you enough, you can have a look at the product here on Amazon. The LumiQuest SoftScreen SLR Flash Diffuser is one of the prominent choices for the pop-up flash diffusers. 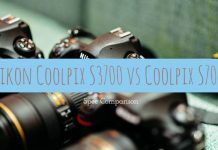 It may be one of the expensive options to reduce the glare from your camera flash, but offer you the best build quality and long-lasting performance. 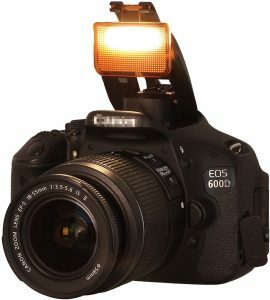 It can even reduce the harshest of the light emitted from the DSLR pop up flashes. The product is available in multiple color options of Neon Blue, Neon Green, and Neon Pink. 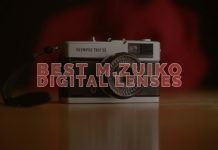 This can be one of the excellent options to work with your low light shots. It fits almost all the cameras with ease. You can check out the option on Amazon at this link. 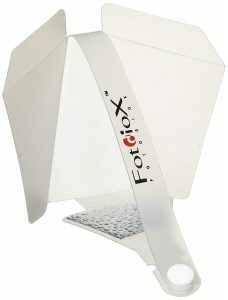 The Fotodiox Pop-Diff-Nik Fotodiox Pop-UP Flash Diffuser should work with most of the DSLR cameras with ease. The diffuser is user-friendly and quite affordable for most of your requirements. 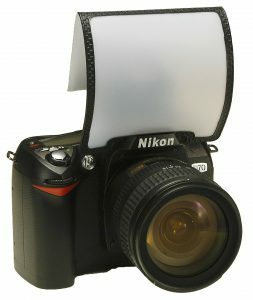 The product is specifically designed for the pop-up flash diffusing needs. Collapsible design for ease of use. 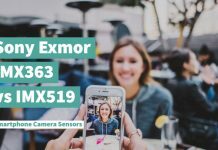 The easy installation on most of the cameras should be one of the features you will find interesting enough. 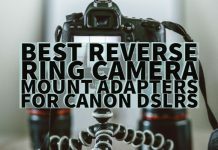 Some DSLR models have installation issue as the diffuser does not mount properly. The fold at the back pokes your nose or face when trying to take pictures. If you think of checking out the diffuser, you may get more information at this link on Amazon. 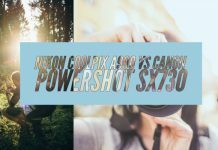 Those were the top six tried and tested pop up flash diffuser options you can check out. 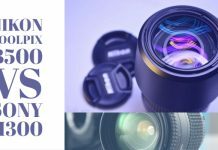 Having to arrange all those external flashes and the diffusers therein can take a huge lot of time and effort in effectively shooting your images. Moreover, it robs you of the spontaneous nature of your photography, especially it comes up in an unplanned manner. Have you used any of the flash diffuser options we have outlined herein above? If you have used any of them, do share your thoughts and experiences with those options. 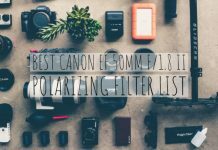 If you are a professional photographer, you will need a massive list of accessories for getting the most from your professional level cameras and your shooting schedules. One of the standard accessories you would want to check out is Pop Up Flash Booster. Let us check out the best Pop Up Flash Boosters we can lay our hands on. Our choice may be limited as there are not many options available at our disposal. 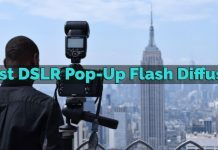 What is Pop Up Flash Booster? The name itself should indicate the purpose of the accessory that we will be discussing. The flash booster is used to boost the intensity of your flash. It will enhance the performance of your booster further. The Pop Up Flash Booster will serve as a useful option if you are looking to go for an increased range of flash and the number of stops. Needless to say, flash boosters are one of the most necessary accessories if you are into flash photography. Since the pop-up flash boosters are easy to carry and use, they should not pose any issues if you plan to use them. 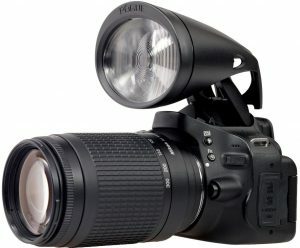 Given the fact that the inbuilt camera flash is not capable of good ranges, you need to invest in an external flash. 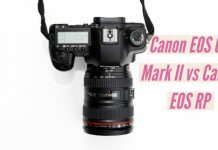 These external flashes tend to be quite expensive, and if you are new to photography, you may not be willing to spend in an external flash as such. Moreover, they add up bulk and weight to your shooting paraphernalia. 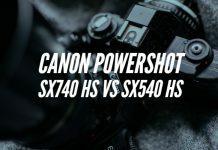 Pop Up Flash Boosters can come quite handy in those situations and help you enhance the flash range of your built-in flash and improve the performance further. 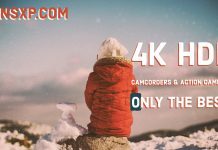 Having understood the role that a flash booster plays in your flash photography and how inexpensive it can be, let us move ahead checking out the best pop up flash boosters you can opt for. This is one of the prominent choices when it comes to the pop-up flash boosters. Rogue has been involved in the technology and concept since long and a mighty name to reckon with. 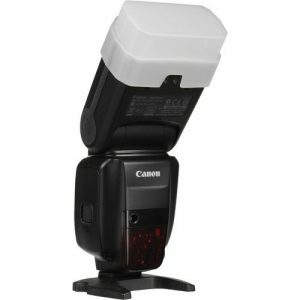 You can use the booster to enhance the flash range for your Nikon and Canon DSLR cameras. 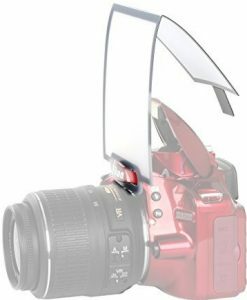 It has optically engineered Fresnel lens for improving the flash range of your DSLR camera pop up flash. 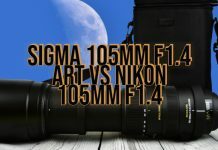 It can be one of the excellent options to use with the all in one telephoto lenses. Weighing just 60 grams, it offers you a compact and lightweight functionality. 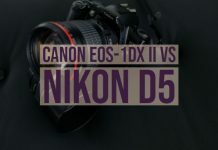 It is compatible with most of the Canon APS-C, and all Nikon DX sensor DSLR cameras. Extremely lightweight and offers excellent portability. 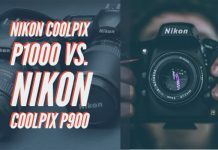 An affordable option for the newbies in photography. 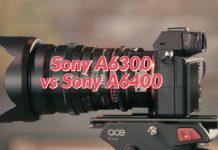 It is not suitable for Sony Cameras. Coming from the house of better Beamer, the Flash X-Tender is a good flash booster you can go with. 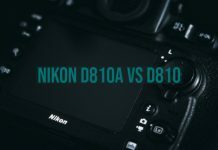 It can be used as the best option for the Nikon B 900 flash. 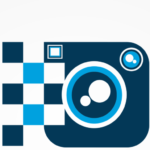 It enhances the flash output of your built-in camera flash. The exposure handling automatically by TTL makes it a great choice. 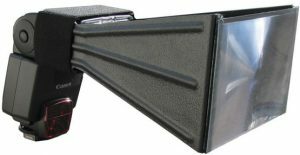 It would double up as an excellent option for shooting wildlife from a distance. It can cause red-eye effect if you are using it to shoot birds. You need to adjust the angle rather frequently. 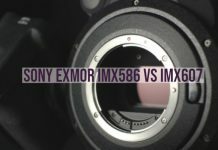 This is yet another option coming from the Better Beamer and designed for the Canon 430-EX. 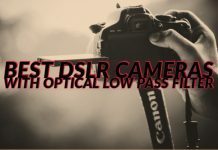 It can help you extend the flash range to a considerable extent. It helps you focus your flash to a better level through the use of a big telephoto lens. You stand to get a better and faster flash to recycle times. An enhanced battery backup will help you save battery. One of the best option if you are shooting moving objects thanks to faster flash recycle times. The attachment option to your camera is a little out of place. 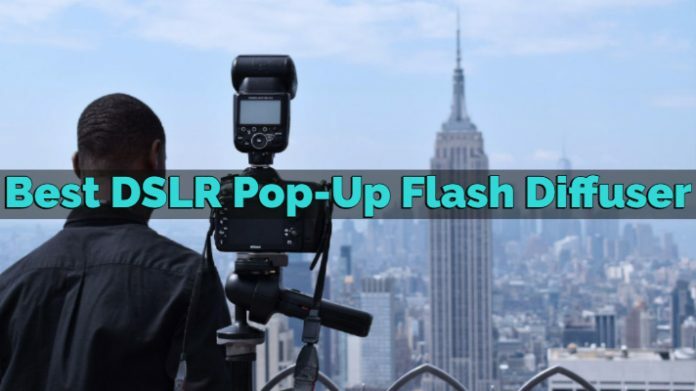 As we said, there are not many options available for a pop-up flash booster for your DSLR cameras. From that perspective, we have listed the top three options we could lay our hands on. Rogue is one of the prominent brands that is involved in the pop-up flash boosters. 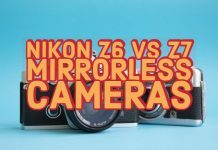 Apart from the Nikon and Canon DSLR cameras, it should be one of the best options for a host of other camera brands as well. 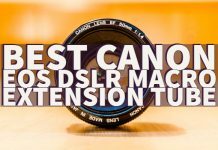 It should be one of the prominent options for all your requirements if you want to get the telephoto compatibility for your entry-level cameras. That was our top picks for the best options you can try out for the pop-up flash boosters or flash extenders. Photographers tend to use the external flash for the enhanced flash for filling in the light where needed. However, if you are new to the photography world and an external flash is out of binding for you – at least as of now, flash boosters and flash extenders are precisely what you will find to be an excellent option. Have you used any of the flash booster options for your photography requirements? If you have found the boosters featured one of the best options, you can share your thoughts with us. You may also share any other useful information with us.